Adventure-based education seeks to educate participants not through reading, lectures, or even classroom work, but through actual experiences. There are some things you just can’t learn in a textbook, like leadership. While you can certainly study the principles of leadership, the only way to truly become a great leader is to get out there and lead. Practice makes perfect, as they say. And the same holds true for a number of different concepts: teamwork and collaboration, communication, trust, and the list goes on and on. For business owners and managers looking to better their business and improve workplace performance, the only way to enact real, lasting change is to get out of the office and work on the concepts you wish to instill in your employees. What we’re talking about is Adventure-Based Education or experiential learning, as it is also known. As John Dewey, the Father of Experiential Education, famously said in 1938, a quote we share often, “There is an intimate and necessary relation between the processes of actual experience and education.” Adventure-based education or experiential learning seeks to educate participants not through reading, not through lectures, not even through classroom work, but through actual experiences. According to researchers John A. Hattie, Herbert W. Marsh, James T. Neill, and Garry E. Richards, there are four primary themes that explain why adventure-based learning is an effective tool. The participants clearly see and experience the results of their actions both individually and as a group. Because adventure-based learning and challenge courses set clear, achievable goals, participants feel accomplished and proud when they are successful. Adventure-based learning activities employ feedback through debriefings, which “is the most powerful single moderator that improves affective and achievement outcomes,” according to Hattie et al. Adventure programs encourage interaction with others and help break down participants’ preconceived opinions of others. “Our compassions with other people change as we experience the need to cooperate with them rather than judge, dismiss or compete with them,” according to Hattie et al. “These short-term or immediate gains were followed by substantial additional gains between the end of the program and follow-up assessments,” according to Hattie et al. For their study, “Adventure Education and Outward Bound: Out-of-Class Experiences That Make a Lasting Difference,” the group conducted a meta-analysis based on 1,728 effect-sizes, 151 unique samples from 96 studies. But is it more beneficial than classroom work? Research performed by Marie Siobhan Breheny says yes. In her study, “Investigating the Effects of a Low Ropes Course Experience vs. Classroom Instruction on the Problem Solving Appraisal of College Freshman,” Breheny sought to compare low ropes course experiences vs. classroom training in terms of problem solving self-appraisal, specifically that of college freshman. Breheny studied 39 volunteers from the Florida Institute of Technology (1998 freshman class), testing Total Problem Solving Inventory (PSI), as well as each of its three component scales (Approach-Avoidance Style, Problem-Solving Confidence, and Personal-Control). Subjects were pre-tested the week prior to the study to establish a baseline. They were then randomly split in two groups. 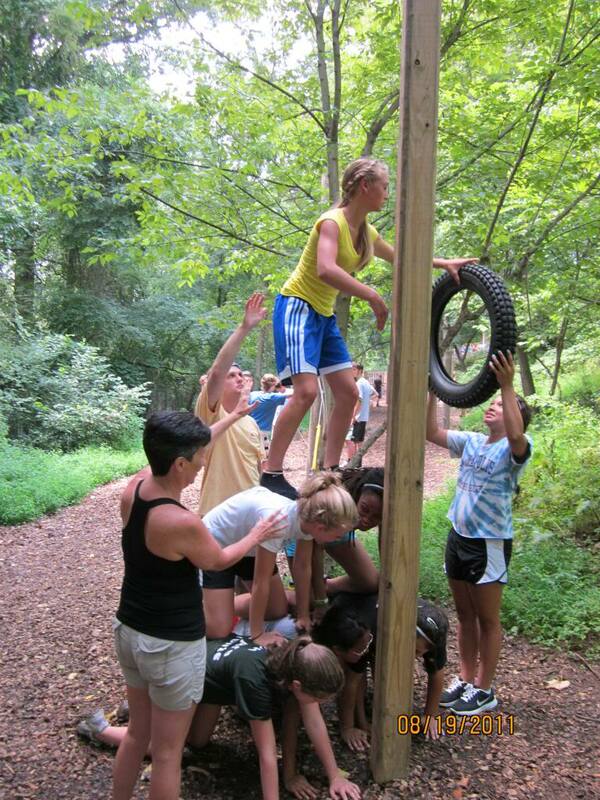 Group I received a four-hour classroom lecture emphasizing a process approach to problem solving, while Group II spent four hours on the ropes course, focusing on problem solving. Subjects were post-tested two to six days following the study. This showed a positive change in Total PSI, as well as Problem-Solving Confidence, and Personal-Control following the ropes course experience. Subjects were post-tested again 10 weeks later and the positive changes remained. While this study was focused on college freshman, the results are universal. There are significant advantages to adventure-based learning vs. classroom learning – advantages that can be utilized by business owners and management. Terrapin Adventures, which is conveniently located in Howard County, Maryland, between Baltimore and Washington DC, specializes in team building via adventure-based learning. Our experienced staff is able to create a custom team building program– onsite or offsite, indoor or outdoor – that is designed to help your group increase their ability to problem solve, think creatively and collaborate with one another. This entry was posted on Friday, December 18th, 2015 at 9:16 am. Both comments and pings are currently closed.